Cool milled below 44°C from raw cashews *, raw macadamias*, raw brazils*, no added oil, no added salt.- no peanuts. * Organic. 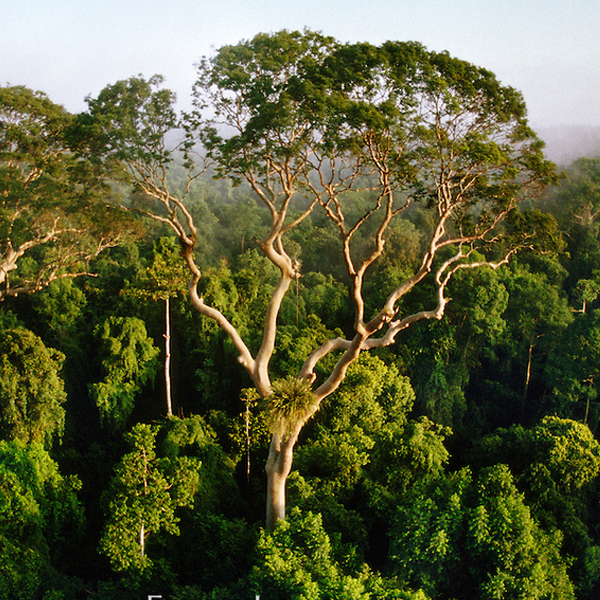 Most commonly found in the rainforest are Brazil nuts, cashews, peanuts, and macadamia nuts. The rainforest provides countless other forms of food products as well. Some of the most popular items are coffee, tea, fish, sugar, beans, grains, and oils. Experts agree that by leaving the rainforests intact and harvesting it's many nuts, fruits, oil-producing plants, and medicinal plants, the rainforest has more economic value than if they were cut down to make grazing land for cattle or for timber. 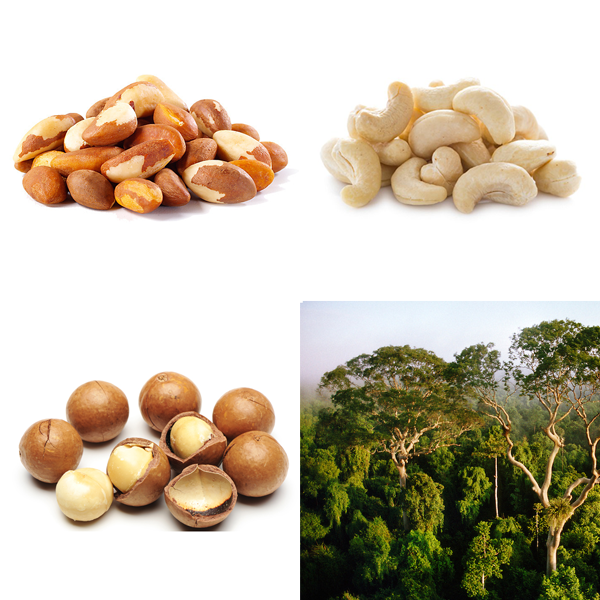 Rainforest nuts are high in calories, contain good quantities of vitamins, anti-oxidants, and minerals. A great source of vitamin-E. Excellent source of the B-complex group of vitamins. Excellent source of minerals. Manganese, potassium, copper, iron, magnesium, zinc, and selenium. Cool milled below 44°C from Cashews, raw macadamias, raw brazils, no added oil, no added salt, no peanuts. Natural nutritious oil may separate on the surface, just stir back in. Organic nuts can naturally contain crop fragments etc. We check and remove, but cannot guarantee to have found every piece.